Jacquelyn S. Fetrow, Ph.D. ’82, an accomplished higher education administrator, widely published biochemist and award-winning teacher, was named the 15th president of Albright College on October 28, 2016. The first Albright alumnus or alumna to lead the College, Dr. Fetrow began her tenure as president on June 1, 2017. 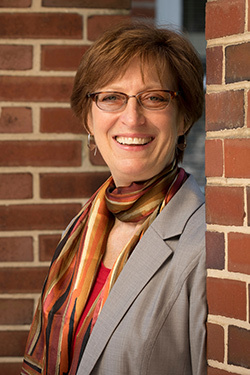 Dr. Fetrow came to Albright College from the University of Richmond, where she served as provost and vice president for academic affairs, a position she held for two and a half years. As provost, she served as the University’s chief academic officer, with responsibilities that included oversight of the University’s academic mission, tenure and promotion processes, and budget planning. She also held a faculty appointment as professor of chemistry. Prior to her tenure at the University of Richmond, Dr. Fetrow served for 11 years at Wake Forest University as Reynolds Professor of Computational Biophysics, and for more than five years as the dean of Wake Forest College. Previously, she had served for four years as chief scientific officer and director of GeneFormatics, a biotechnology software company which she co-founded. As part of its executive management team, Dr. Fetrow played a key role in developing company strategy, raising more than $50 million in three funding rounds, and building the 65-person organization. She also held faculty positions at the University of Albany and the Scripps Research Institute. Dr. Fetrow earned a doctorate in biological chemistry from Pennsylvania State University in 1986 and a bachelor of science in biochemistry from Albright College in 1982. She previously served on the Executive Council for one term, and as secretary/treasurer for two terms, of The Protein Society, an international professional organization. She currently serves on the board of directors of QuantumBio, Inc., an early-stage biotechnology software company, on the external advisory board for the Pennsylvania State College of Medicine Center for Medical Innovation, and on the editorial boards of the professional journals PLoS Computational Biology and Proteins: Structure, Function, and Bioinformatics. Dr. Fetrow’s ongoing research program focuses on understanding the relationships between protein structure, function and dynamics, with a long-range goal of understanding the mechanisms of protein function and improving processes for structure-based drug discovery. She has published more than 80 peer-reviewed or invited articles and is listed as an inventor on five U.S. patents. Her work has been supported by the National Institutes of Health, the National Science Foundation and the American Chemical Society. A native of Camp Hill, Pa., Dr. Fetrow is the recipient of several awards and honors, including teaching awards as well as Albright’s Distinguished Alumna Award and Young Alumna Achievement Award. Her mother, Millie (Folk) Fetrow, was a 1958 graduate of the College.